The Senior mite division is open to players born in 2009-2011 and is a combination of skills enhancement and live game play. 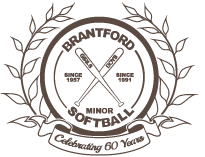 Softball Ontario/Softball Canada rules apply, however BMSA local rules will supersede this when applicable. All Umpire rulings are final. No protests will be accepted. Shorts are acceptable provided sliders are used to protect the players legs. Team Jersey must be worn at all times. NO Base Stealing, Wild pitches and pass balls included. Leadoffs allowed after a pitched ball crosses home plate. Overthrows: Any overthrown ball that contacts the fence (or fence line) shall be declared a dead ball. Runners may advance 1 base only. This applies to 1st, 3rd, and home plate. Open Inning: 4th and 5th Innings are open with no run maximum. Run Ahead Rule (Mercy Rule): If a team leads by 15 or more runs after 3 innings the game is complete.